Scroll Down for Open Shoot Entry Options. What is an Open Shoot? 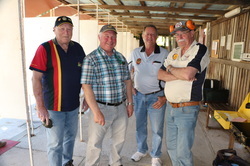 An Open Shoot is an event where Pistol Club members from all over Australia meet at one club to compete and socialise. Open Shoots give pistol shooters a chance to participate in several matches in one weekend and compete for 1st, 2nd and 3rd place prizes in A, B, C and D Grades against members from clubs other than their own. The prizes currently offered by Glen Innes Pistol Club are Glasses with "Glen Innes ISSF Open Shoot" engraved into them. Potter Firearms have offered a Cash Prize of $1,000 to any competitor (male or female) at one of our Opens who can break the Glen Innes Pistol Club 5 match Aggregate Record score of 2,839 set by Bruce Quick at our September, 2017 Open. For Ladies and Juniors to be in the running, they will need to contest Standard Pistol, 25 Metre Pistol, Air Pistol, Rapid Fire and 50 m Pistol. Potter Firearms are also offering a Shop Voucher to the value of $50 for each of the winners of the Men's 5 Match, Ladies 3 Match and Junior Aggregates. 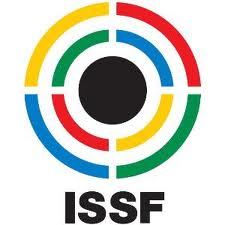 When are the Glen Innes ISSF Open Shoots? 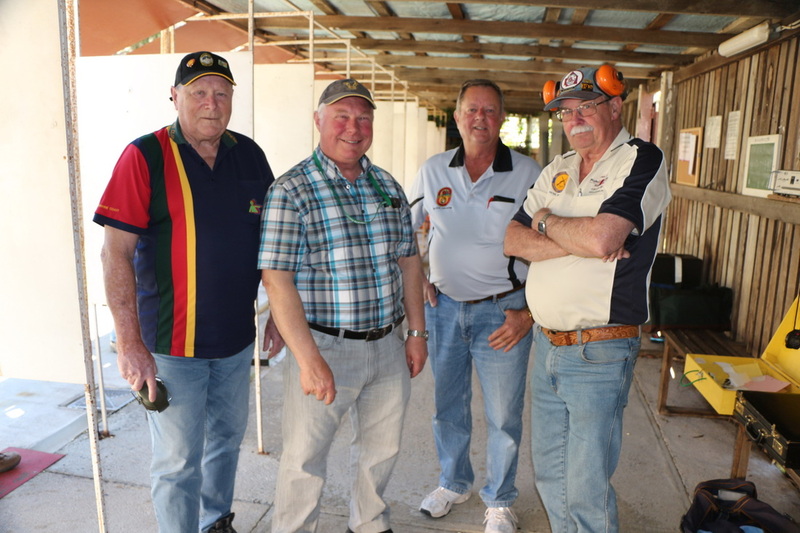 Glen Innes Pistol Club holds Two ISSF Open Shoots Per Year. The First is held on the Third Weekend of February. The Second is held on the Third Weekend of September. What matches are offered at the Glen Innes Pistol Club Open Shoot? What about accomodation and food throughout the Open Shoot weekend? Glen Innes Pistol Club offers onsite camping and ammenities as well as a canteen. The Saturday Night Dinner is held at Glen Innes Pistol Club and will consist of a 2 course roast dinner for $15, kids under 15 $7.50 (BYO alcohol). How much are the Range Fees and the Saturday Night Meal? Adult Range Fees: $10 per match. Junior Range Fees: $7 per match. $7.50 per child under 15. Sounds great, how do I enter the Open Shoot and pay my range fees? Entering our Open Shoot has never been easier. There are now two options available. Step 1:Fill out the Online Enrolment Form below then click submit. February 15th,16th & 17th,2019 Open Shoot Entry Form. Please complete all required fields then click submit. Please use your name exactly as entered in the Online Entry Form as the reference. You can download then print the entry form above. 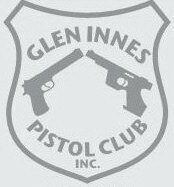 "Glen Innes Pistol Club Inc". Your entry won't be valid until payment is received and verified. 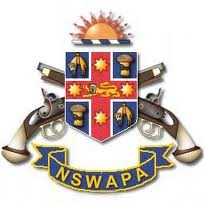 Attention: No entrant will be permitted to compete in any match until their current Category H Licence or Permit has been sighted by the Range Officer and the details verified. This is a legislative requirement and there will be no exceptions.